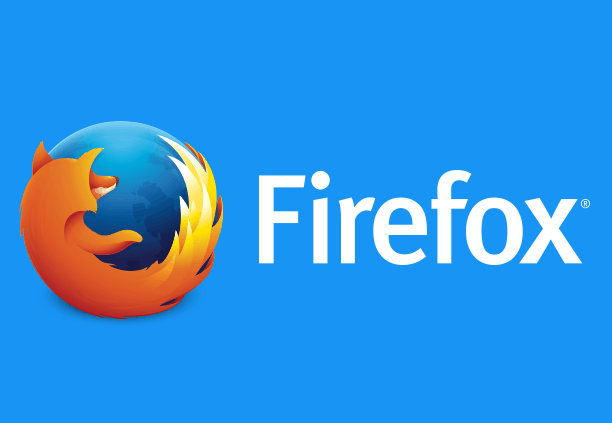 Mozilla released a beta version of Firefox for Windows 8 touch browser for public testing. 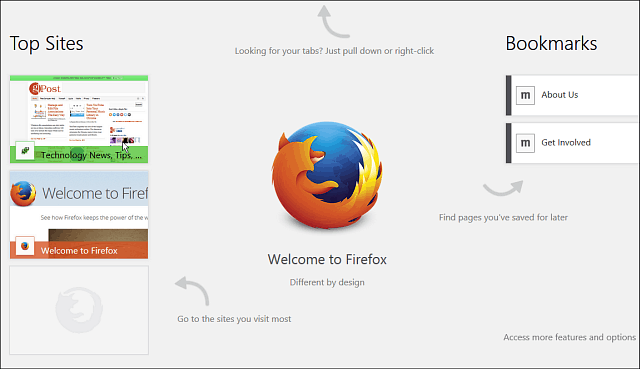 It’s a version of Firefox optimized for the Windows 8 Modern UI. 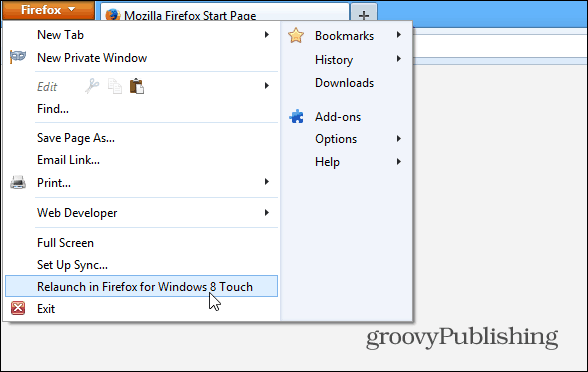 Recently Mozilla released a beta version of its Firefox for Windows 8 touch browser for public testing. 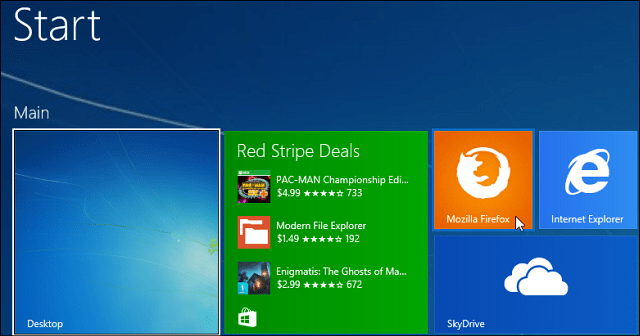 This is a touch-friendly tile based version of Firefox that’s optimized for the Windows 8 Modern UI. First download Firefox for Windows 8 Touch Beta. What’s interesting is you don’t install it from the Windows store, but instead download and install an executable file. And yes, that means you can’t get it on touch devices running Windows RT. Before installing it, make sure you have any other instance of Firefox that’s running closed. Otherwise you’ll see the message below. 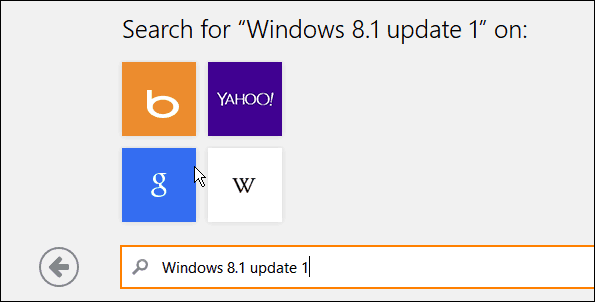 After Firefox is installed, you’ll see you still have the typical desktop version as well as a Firefox tile on the Windows 8.1 Start screen. The touch version of Firefox looks and acts like you’d expect from a Windows 8.1 modern app. You’ll get onscreen tips where things are as well as touch gestures. One of the interesting features searching from the “Awesome bar.” While typing in your query, it provides four different search engines to pick from. If you’re using the desktop version, and want to get to the modern touch based interface, click the Firefox button and then Relaunch in Firefox for Windows 8 Touch. Remember this is a beta version, so expect a few bugs. For instance, the first I ran it on a Windows 8.1 computer with Stardock’s ModernMix they didn’t play well together. I just would get a resized frozen screen on the desktop. On the second laptop I installed it on without ModernMix, I had much better results. If you’re an early adopter and enthusiast, now’s your time to test the beta and send your feedback to with Mozilla, and file any bugs you find. For more detailed information, check out the Firefox for Windows 8 Touch Beta Release Notes. There you can read in more detail about the beta as well as links to share feedback and file any bugs you find. Have you used the Firefox touch beta? What is your opinion of it? Leave a comment below and tell us about it.